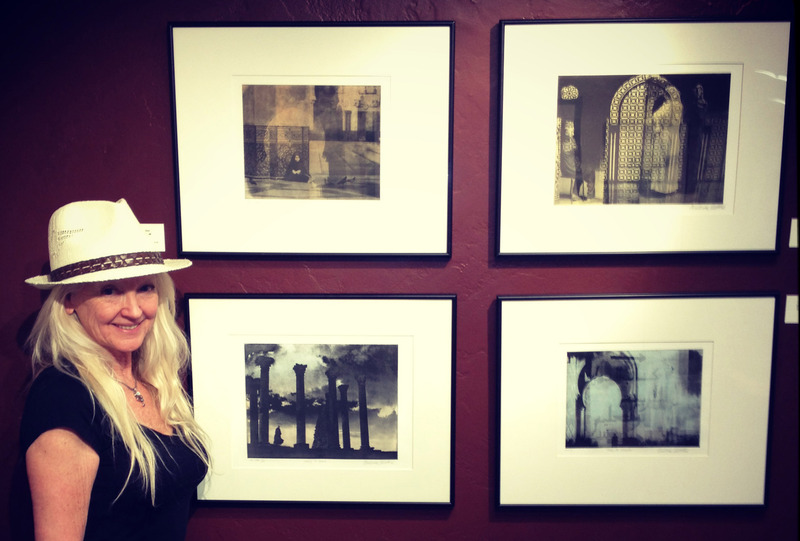 Here I am in Prescott, Arizona for the Printmaker’s Show at the Mountain Artist’s Guild and Gallery. These are pieces from my Moroccoan series. They are multiple images (all taken by me of course!) and combined onto a photopolymer etching plate, hand inked and hand printed on an etching press. I am doing an edition of 20 original prints of each of these. Since each is an original, they will vary slightly. So far I have 8 different images. And yes they are for sale, email me for info. Each print is approximately 9×12. It was great to meet the other printmakers, see their work and talk shop. We had a wonderful turnout, and then after that I went to Sedona to see my sisters and some friends, all in all it was a great trip.